Today I am on the blog tour for Victoria Jenkins’ debut novel, The Girls in the Water. When the body of Lola Evans is found in a river in a local park on a cold winter’s morning, Detective Alex King and her new recruit Chloe Lane are called in to lead the hunt for the killer. Days later, another girl goes missing, and another body is found in the water. It seems the two girls shared a troubled history, and were members of the same support group. What secrets were they keeping? And who is the monster preying on these vulnerable girls? As the detectives start to piece together the clues, it becomes clear that the murderer’s reach goes even further – back into the painful past of Chloe Lane herself. Chloe realises that she too is in danger – as she uncovers secrets about her own brother’s death which someone will kill to keep hidden. As Alex and Chloe are soon caught in a race against time to reach the next victim before it’s too late… and they must face terrifying truths from their own lives to have a chance of catching the killer. 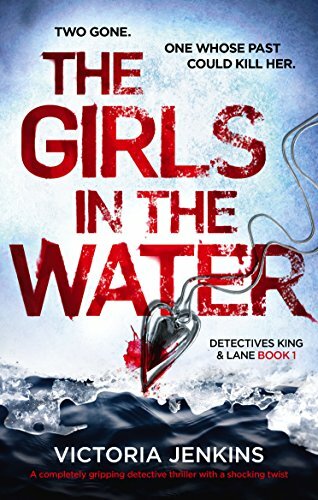 Jenkins introduces us to two new police officers in her debut police procedural, The Girls in the Water. Detective Alex King and her new officer, Chloe Lane. Called upon to investigate the murder of a young girl found in the river, they soon realise that they are dealing with something much more sinister than they first thought. Chloe’s own background is brought to the forefront of the investigation, but why? Lane is a new officer on King’s team, described as a promising and competent officer, I had high hopes for her from the off. The two ladies have a couple of decades between them age wise but that doesn’t stop them from becoming friends. As the investigation starts into the dead bodies and the team realise that there is much more to this than meets the eye, Lane seems to totally go against these characteristics. 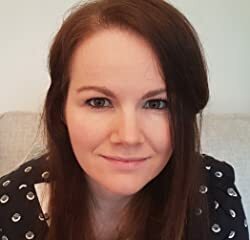 She becomes almost obsessed with her own need to investigate her brother’s death and subsequently the actual murder investigation seems to take to the back burner. This lead me to think that both King and Lane were a little less than the strong and brilliant officers they have been described as. Lane felt almost childlike at times and I wasn’t convinced that King should have let her get away with this sort of behaviour. There is a great amount of background story in the first half of this one but I think that can be forgiven as this is the start of a new series and now we know the characters, I would expect the investigation to take up most of the pages moving forward. The pace does pick up in the final third of the book and this really did make a massive difference to my thoughts, once we were over the introductory hump as it where. The writing is strong, the plot was well thought out, and the stage has now ben set for what is hopefully going to be a really strong, female, crime-fighting team – I’m really excited about this and am looking forward to what Jenkins has in store for us in the future. My thanks to the author and the publishers for my review copy. You can get your copy over at Amazon now folks!